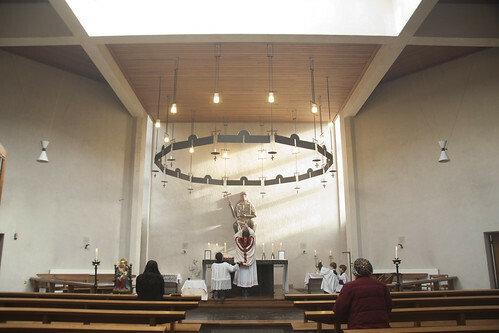 It is not exactly a traditionally-designed church, but the accoustic was good and there was no difficulty in celebrating ad orientem. 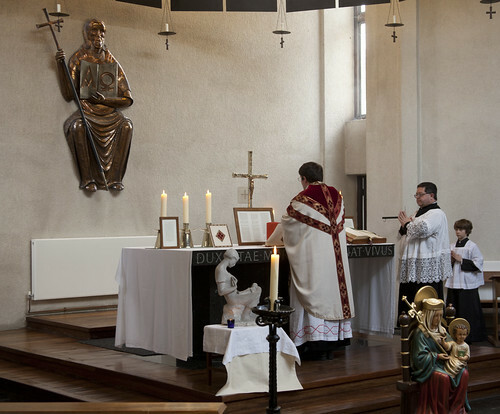 This is the bases of the Ordinariate in Oxford, and the Ordinariate Usage is celebrated here by the same priest, Fr Daniel Lloyd, on Saturday evenings. 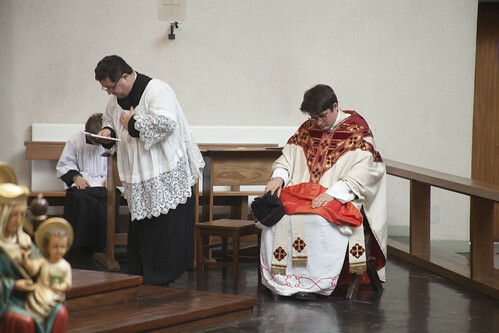 It was the feast of St Sylvester, Abbot, and coincidentally the day before the First Sunday of Advent. 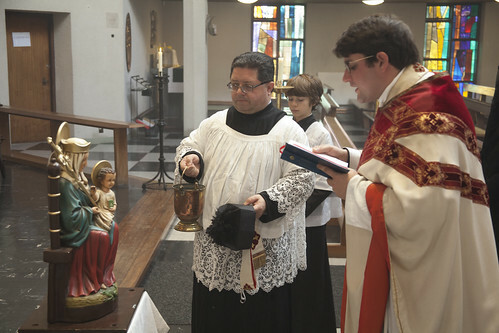 Holy Rood, just south of the river Thames in Oxford, is in Portsmouth Diocese, and with the permission of Bishop Philip Egan, Fr Daniel blessed the statue of Our Lady of Walsingham for public veneration. Up to now, it has only had an ordinary blessing.